Some of our staff share why OELC matters with this video message. 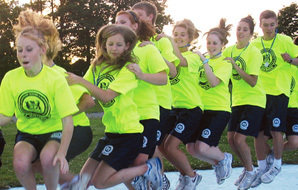 Whether it is through athletics, the arts, student governance or global issues, our courses concentrate on leadership skills and abilities that will support and assist students in their leadership endeavours in their home schools and communities. Each of our courses focuses on individual leadership styles, team dynamics and collaboration, communication, creative problem-solving, and organizational skills. For this reason, responsibility, inclusivity, community and global awareness are components of every course. Please see our course outlines for detailed descriptions of each leadership course and to register for that course. If a $99.00 uniform fee applies, the student will receive 1 sweatshirt, 2 t-shirts, 2 shorts and 1 tournament top. 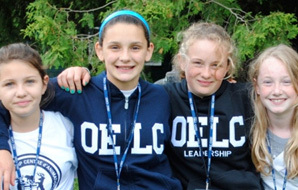 Courses with a $39.00 uniform fee will receive 2 OELC t-shirts. These uniform fees also include a course photo, OELC lanyard, folder and OELC crest. Both the program fee and the uniform fee must accompany the application form (they may be combined into one cheque if desired). Please add the HST to the total of both. Because the goal of OELC is to have full representation from all parts of the province, OELC reserves the right to restrict numbers of students applying from one school. OELC is a 100% nut-free facility. No nut products (or products that may contain nuts) are permitted on site.